« Blogiversary Week: Name Change + Giveaway! I can’t believe it’s been 2 years! 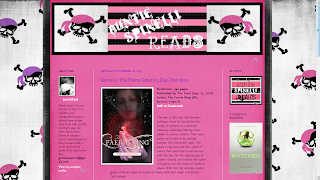 It hardly seems like I’ve been blogging that long, to tell you the truth. I’m so proud to be a part of this lovely community, and I’m grateful for all the bookish friends I’ve made! I’ve experienced so much in 2 short years and have evolved as a blogger. I feel like this blog has come a long way! My blog has had MANY design changes. I tend to get bored with the same thing after a while, what can I say? This is the best part of blogging for me! I have met SO many incredible and uplifting people in the blogging community, and I never thought it would come to be so important to me. I couldn’t do this if it weren’t for you wonderful people! Inky @ Book Haven Extraordinaire. NATOR TWINSIES! This girl is a spunky ball of awesomesauce and she constantly brightens my day. I love all of the crazy conversations we’ve had! I can’t wait to meet her in person! (It WILL happen. IT WILL.) She’s such a beautiful and all around fabulous person and I love my Inkinator!!! Reanna @ Phantasmic Reads. This woman. Oh, lord. Where are the words? *sniffles a bit* This sweet, sweet lady has been such a rock for me lately and I am SO very grateful to her for being a shoulder and an ear when I need it the most. She’s been there to listen to me rant and complain, and maybe even cry a little. I’ve really come to value her friendship and I look forward to her emails. You are amazing, Reanna!! I love you! Then there’s the fabulous Merp Squad! 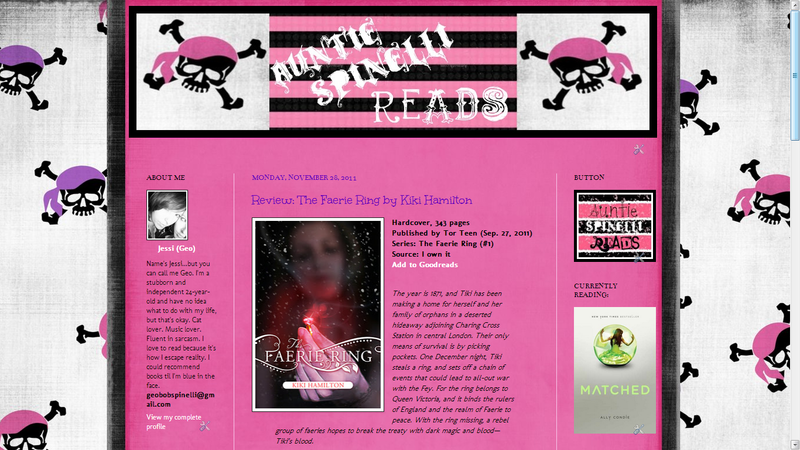 Along with Inky, Ashley, and I, there’s also the charismatic Eileen @ Singing and Reading in the Rain, the spunky Nikki @ Fiction Freak, and the angelic Annabelle @ Sparkles and Lightning! I adore you ladies! I really miss talking to you guys all the time! I hope I didn’t miss anyone important!! And of course there are MANY more that I’ve talked to, too many to mention! This year has been an AWESOME year for me! 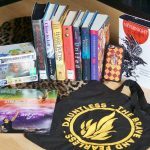 I have had the opportunity to go to many bookish events, which I did not get to do in my first year of blogging. 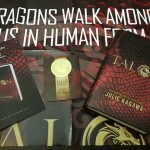 The highlight of my entire blogging ‘career’ was meeting Julie Kagawa – who happens to be my favorite YA author – and having her tell me she knew who I was, then giving me a hug! You can read about the whole experience HERE. I also got the chance to meet another book blogger for the first time! I met Shannon from Twilight Sleep and Amanda from Confessions of a Bookie Monster! I had a GREAT time with Shannon in Memphis, and it was so awesome to see Amanda not only once, but twice! Both of these ladies rock!! I switched from Blogger to WordPress. 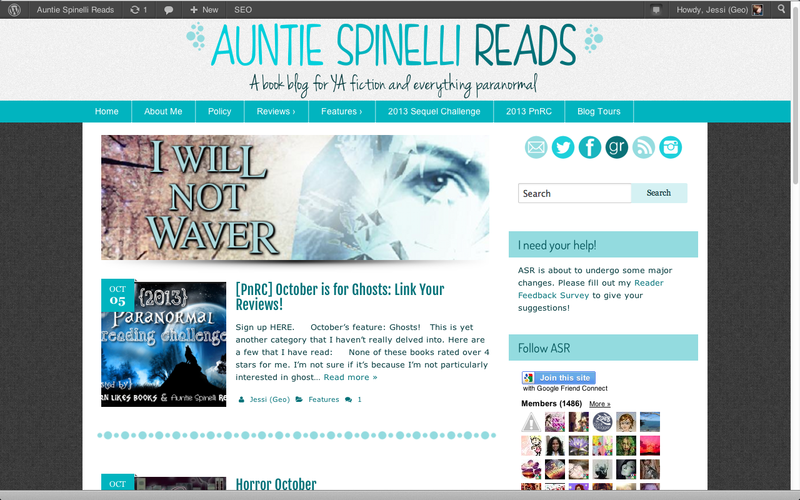 Us Merp Squadders started a blog tour site. 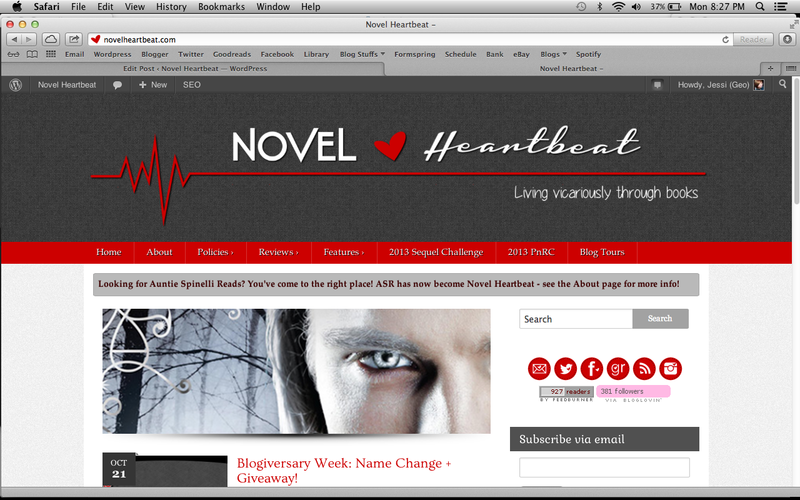 I changed my blog name from Auntie Spinelli Reads to Novel Heartbeat. 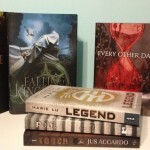 YA2U in Cookeville, TN: Beth Revis, Marie Lu, Marissa Meyer, Victoria Schwaab, Megan Shepherd. Went on a road trip with my boyfriend for this one, it was awesome! #YeahYA in Memphis, TN: Julie Kagawa, Aimee Carter, Karen Ann Hopkins. Another road trip with the boyfriend – this is the one where I met Shannon and had Julie tell me she knew who I was! Sarah J. Maas in Cincinnati, OH. Sarah was super nice! (Although she totally ruined the new Riddick movie -___-) Got to see Amanda again! THANK YOU to every single one of you that follow this blog and have stuck with me these past two years! I’m so happy to be part of this community and am looking forward to the coming years! Up for grabs: An ARC of Unhinged by A.G. Howard and an ARC of The Dollhouse Asylum by Mary Gray (1 winner). US only! 2. Contest open to US participants only. Sounds like you’ve had a great 2 years of blogging! 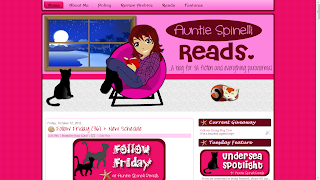 I loved seeing all your different blog designs over the life of Auntie Spinelli Reads. It’s so neat to see it evolve into what it is today! I definitely like your design now. It’s pretty badass. ;) The vector graphics you did yourself turned out awesome. You’re definitely already a great designer! That’s so sweet you mentioned me. :) I’m so glad I’ve had the opportunity to meet you! I was so nervous starting up my own blog, and you have helped me so much I can’t even express how grateful I am. Thanks for being such a great friend and blogging buddy! :) Hope to see you soon! CONGRATS! I can only hope I make it to two years. And also your list of bloggy friends is a good list. I adore so many of them myself. Your frequent design changes make me feel better about mine lol. I’m so indecisive and constantly changing it around. Hopefully I’ll find one and settle in someday but who knows. It sounds like you had an awesome book filled year! Wow! What changes you’ve gone through in just 2 years! Can’t quite remember a few of those designs! Love your new design though! Hope you have many more happy blogging years to come! Happy Blogoversary, Jessi! My two year is coming up soon, too! You’re totally right that it doesn’t feel that long! JESSINATOR!!!!!!!!!!!!!!! *glomps* Happy Blogoversary!! It’s so exciting!!! I feel like I’ve known forever, when really it’s only been under 2 years. 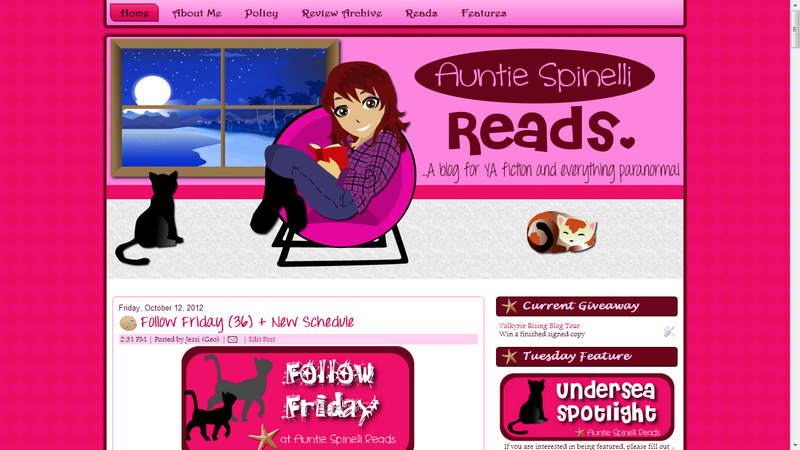 I first remember you blog when it was on it’s third design or something. Course, I didn’t know you very well, I just remembered your theme. Lol. It’s been so fun getting be know you!! And Nators Discuss has been so much fun! Even if we’re slackers at it. Merp. 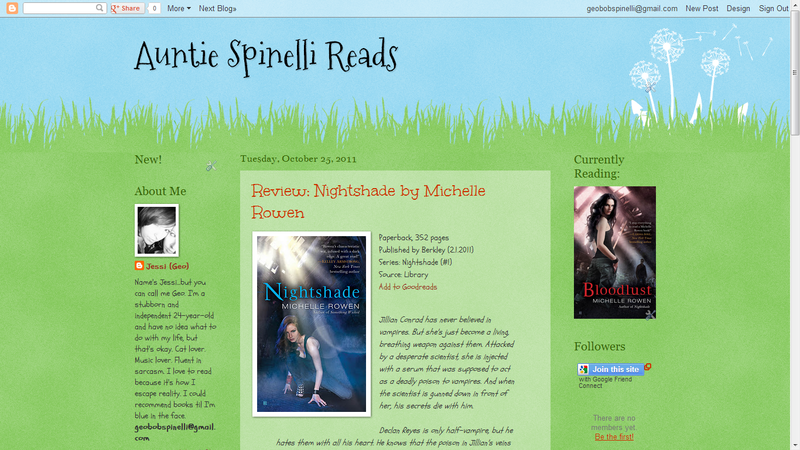 =] So excited that you got to change your blog up! It’s always really fun to do that, and now it’s even more YOU. 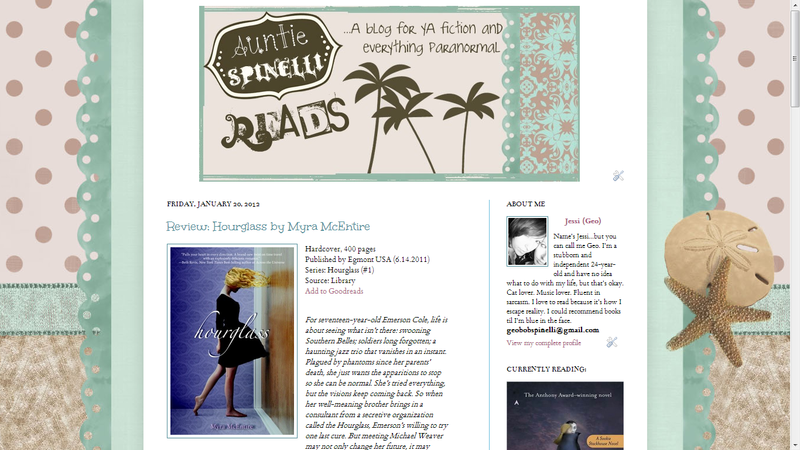 Here’s to a third and a fourth blogoversary! Hope blogging always stays new and awesome for you! Also, AAW THANKS! I’ve loved making you laugh, or snort, or whatever it is that makes you happy. It’s been so fun to get to you know!! Yes we will meet. Even if I have to come to “lame Ohio” to do it. Hehe. Also, Someday, I’ll eventually give in to your prodding, but until then, I remain, your not-on-word-press-cray-cray-little-Nator-Twin. 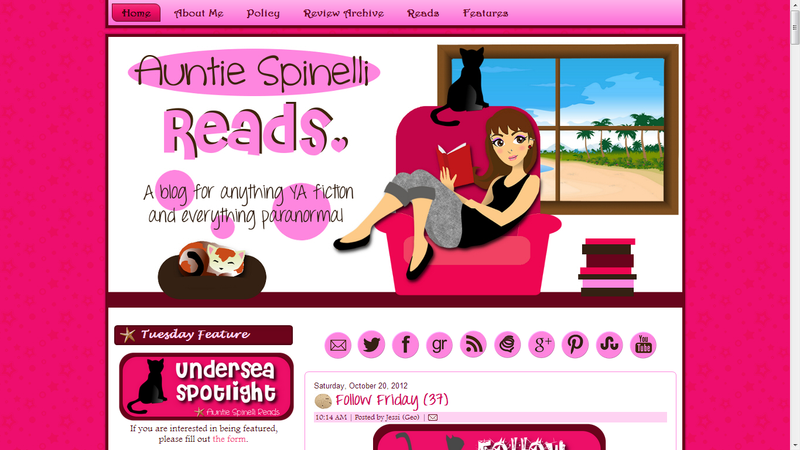 So cool to see all the faces of Auntie Spinelli Reads / Novel Heartbeat! I love posts like that. And aw, shucks girl, thanks for the mention! You’re so freaking sweet!! <3 I think it's awesome how we agree on books so much. It's SO cool! That's why I adore reading your reviews. 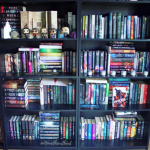 They help me decide which books are worth getting. Daww, you’re so sweet Jessi ;) It has been great knowing you too! One of these days you’ll have to make it to Chi-town for an event! Have you heard about The Moth in the Mirror? The Splintered short story told from Jeb and Morpheus’ POVs? It released yesterday! 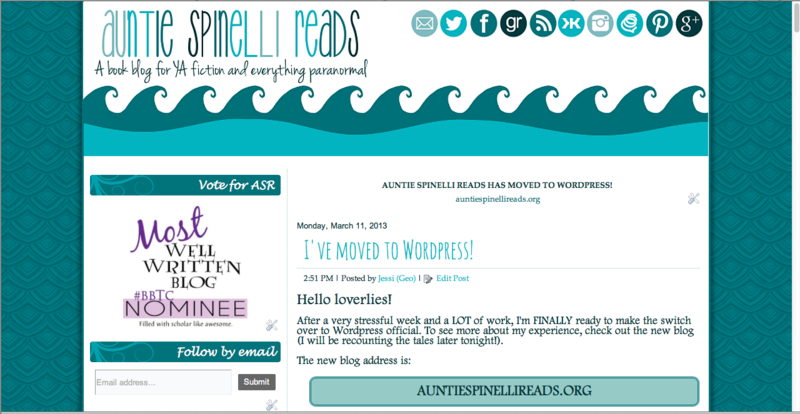 I really like your new blog look and name. Seriously, it’s really cool. 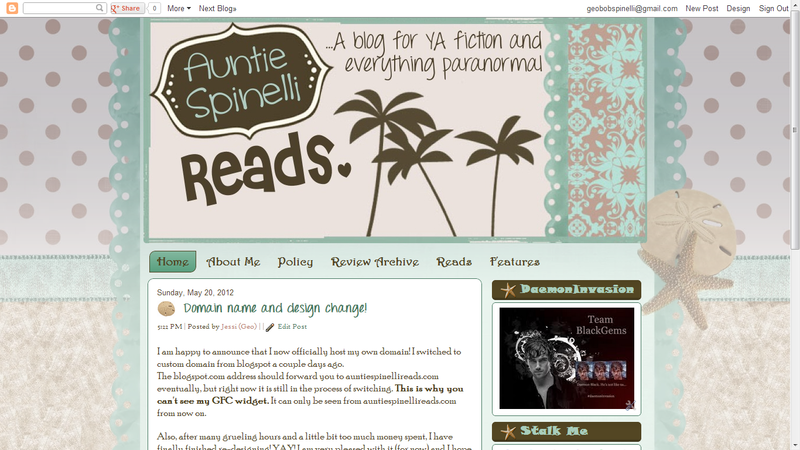 I’m debating whether or not to change my blog design but I don’t know that I could ever change my name. I’ve gotten so used to it now. Also, I’d like to ask you a question about that ARC package! Congrats on two years blogging :) That’s so amazing!! I love your new title and design, it’s so pretty! You’ve accomplished so much since you’ve been blogging, 224 reviews… wow that’s unbelievable :) I hope you have an awesome year(s) ahead!!!!! 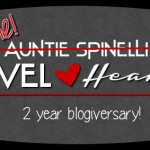 Happy 2 year blogoversary! It takes someone with a great deal of dedication, patience, and creativity, and drive to be able to commit to something like this for so long and I applaud you for that. Your posts are amazing and I always find myself longing for more! I hope you continue blogging for a very long time because you are great at it! Hope you have a good blogoversary and keep on growing throughout the rest of your blogging career!